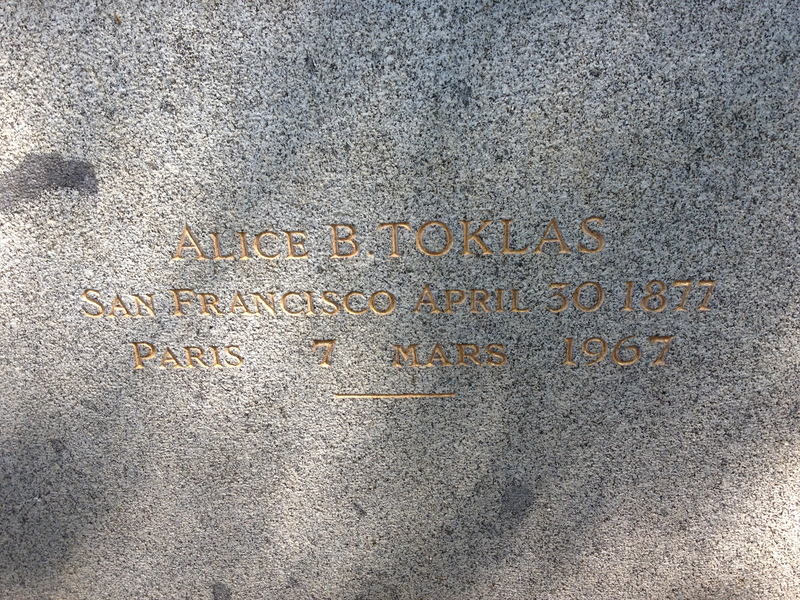 Alice B Toklas’s name is carved onto the back of Gertrude Stein’s gravestone, located in the Père Lachaise cemetery in Paris’s 20th Arrondissement. This is a rare instance in which two women partners are buried under a single headstone. The subjects of my book “Charity and Sylvia” were also buried under the same stone, but their names are joined together on the front. Toklas’s placement on the back of the stone seems to recapitulate in death the subordination to Stein that marked her life. Published: August 16, 2013 Dimensions: 3264 × 2448 Posted in: Paris Gallery Post a comment or leave a trackback: Trackback URL.